While real cornbread is out on keto, these keto “cornbread” muffins are the perfect stand-in! 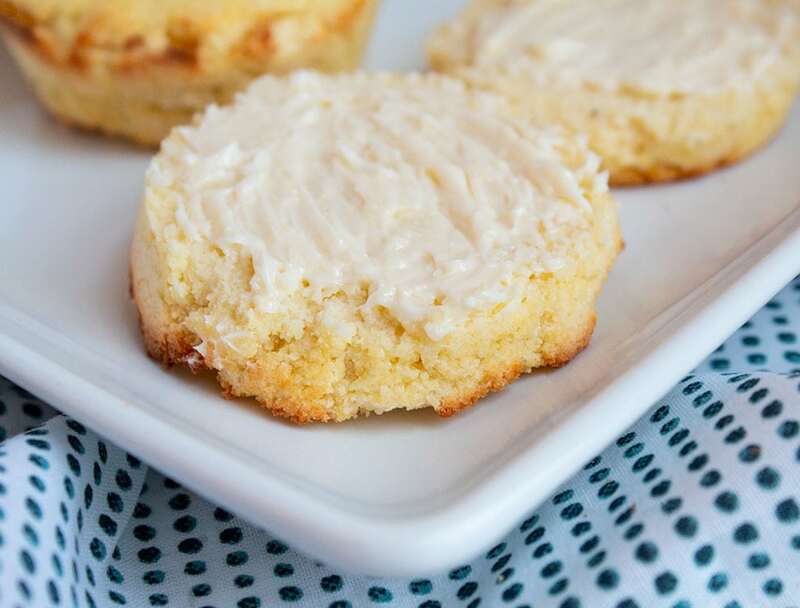 They’re reminiscent of real cornbread muffins without the high carb count and are delicious topped with butter and served as a side, breakfast, or snack. I don’t know about you, but I love cornbread. I could probably eat it at every meal! It’s comforting, filling, and seems to pair with just about anything. I’ve been craving it a lot lately since it’s so cold outside, so I decided I had to figure out how I could eat it on keto. Thankfully, keto cornbread is a thing! I played around with a few different varieties before settling on this one. 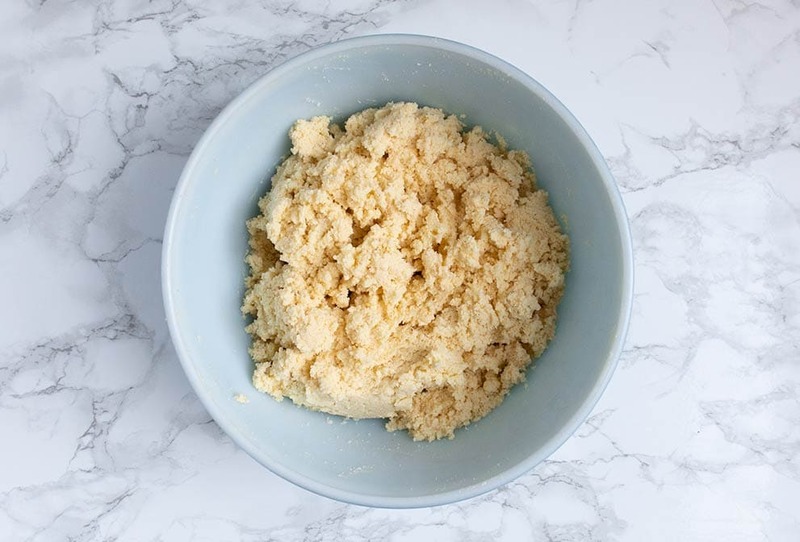 There are lots of keto cornbread recipes out there that use almond flour, almond meal, and/or coconut flour in varying ratios. I personally prefer coconut flour over almond flour because it’s naturally sweeter (and I love a sweet cornbread! ), but coconut flour on its own won’t give you the texture of cornbread, so I added some almond meal. 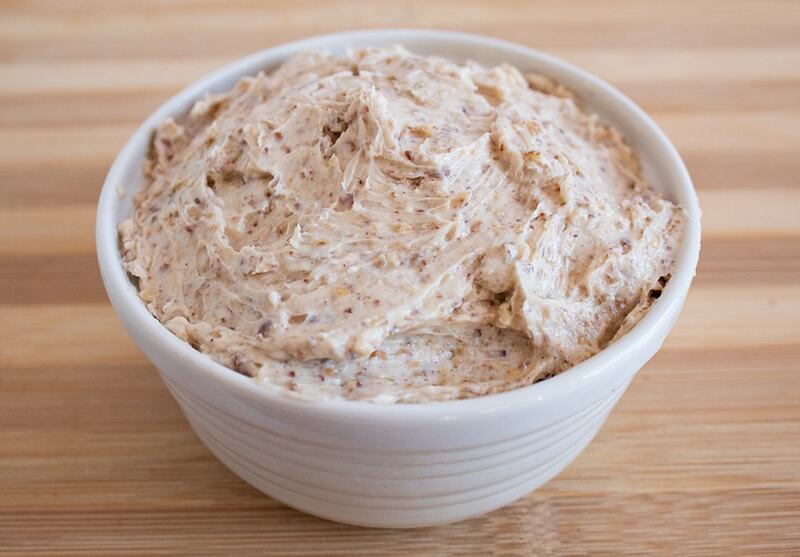 Almond meal is similar to almond flour, but almond meal contains the skins of almonds. It adds a nice chewiness to this keto cornbread and helps make it more like the real thing. Lastly, I made them into muffins because of the convenience of individual portions. Barney Almond Meal: Unlike almond flour, almond meal contains the skins of almonds, which gives it a heartier, chewier texture. You can use almond flour instead, but the texture won’t be the same. Keliwa 12-Cup Silicone Muffin/Cupcake Pan: I love the convenience of this pan; the cornbread muffins pop out perfectly. It’s also great for making egg cups, fat bombs, and Butter Burgers! These yummy muffins are ready in just a few steps! Step #1: Pre-heat oven to 350 F.
Step #2: If you’re using a silicone muffin pan like I did, you don’t need to grease the pan. However, if you’re not using silicone, I recommend lightly greasing it or using liners for easy removal. Step #3: In a large bowl, combine eggs, heavy whipping cream, coconut milk, melted butter, and cream cheese. Using a hand mixer, mix everything until the cream cheese is well-incorporated. (It’s okay if you have a few small flecks remaining.) Set aside. Step #4: In a medium-sized bowl, combine coconut flour, almond meal*, Swerve Confectioners, baking powder, and salt. Mix thoroughly. For best results with this recipe, I recommend that you measure the dry ingredients by weight. *Note: You can use almond flour instead of almond meal, but the texture won’t be the same. 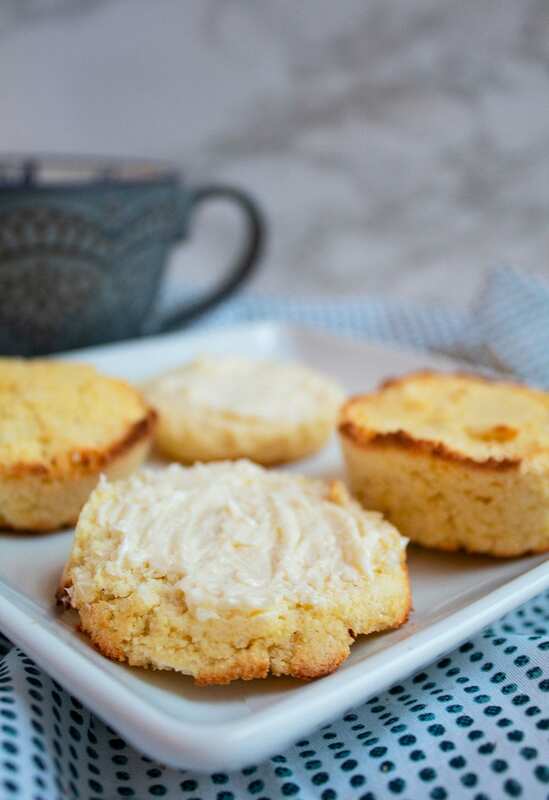 Almond meal contains the skins of almonds, which will give these cornbread muffins a chewier and softer texture that is closer to that of real cornbread. They will still taste great if you use almond flour (confession: that’s what I used when I took the photos because I ran out of almond meal the day before), but almond flour gives you a more realistic texture. 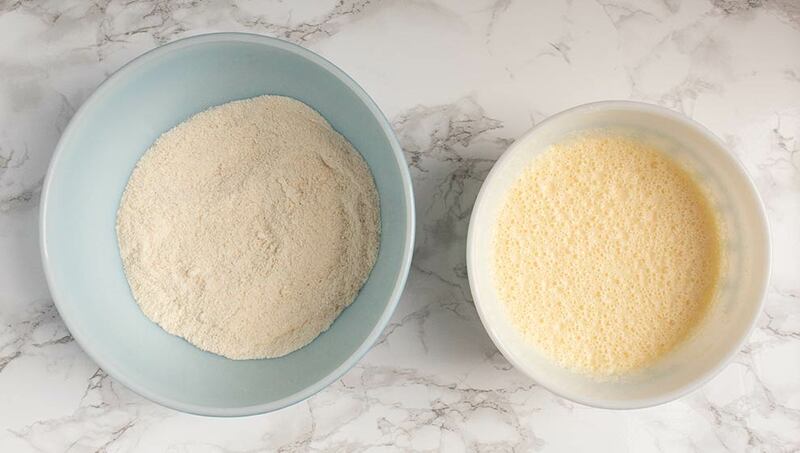 Step #5: Add dry ingredients to wet and mix thoroughly using your hand mixer. Step #6: Evenly distribute the batter across the holes, pressing the batter down a bit with the back of a spoon. (The batter is thick and easily forms pockets.) They will be about 80% full. Step #7: Place in the oven and bake for 20-25 minutes until the edges start to brown and an inserted toothpick comes out mostly clean. Do not overbake. The center should still be slightly soft (but not uncooked) when you pull the pan out of the oven. I highly recommend serving your keto muffins with butter because cornbread always tastes better with butter! If you want to take these cornbread muffins to the next level, I suggest making my Maple Pecan Butter. It’s completely keto-friendly and is ridiculously good! Also, this may just be a “me” thing, but I’ve always found that cornbread (keto or not) tastes better when served cold. Am I the only one? Give it a try if you’ve never tried it like that before! Use This Recipe to Make Keto Grits! 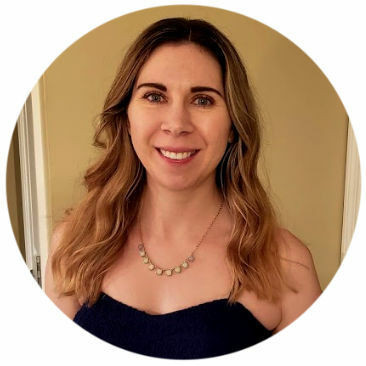 Reader Shawna used this recipe to make keto grits. Yum! She said: “So this weekend, I had some leftover Keto “cornbread” mix, I thought if I added some cream, a lil h20, vanilla I could make a pancake.. NOPE, but what I did end up with was what I affectionately called “Keto Grits.” Check out her delicious grits below! 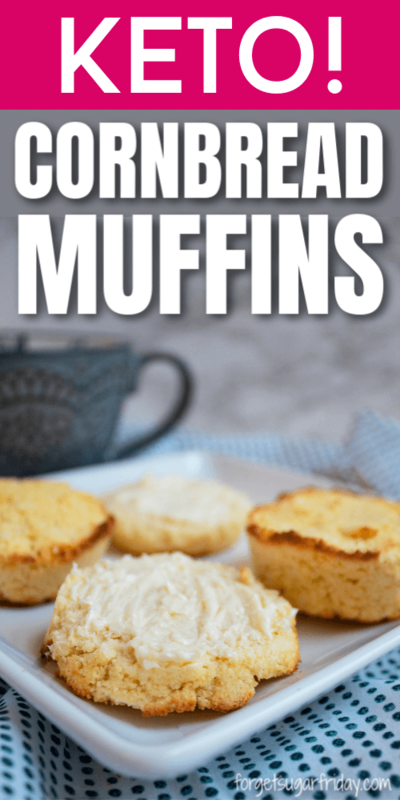 I hope you love this keto cornbread muffin recipe! If you liked this post, I would so appreciate you giving it a share by using the social sharing icons. THANK YOU! These muffins are completely corn-free, but they are reminiscent of real cornbread muffins without the high carb count. They're perfect as a side, breakfast, or snack! 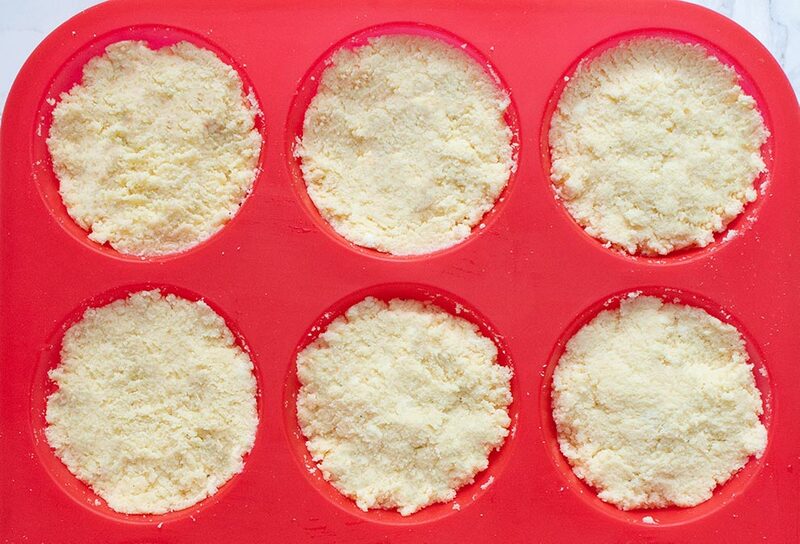 If you're using a silicone muffin pan like I did, you don't need to grease the pan. However, if you're not using silicone, I recommend lightly greasing it or using liners for easy removal. In a large bowl, combine eggs, heavy whipping cream, coconut milk, melted butter (cooled slightly), and cream cheese. 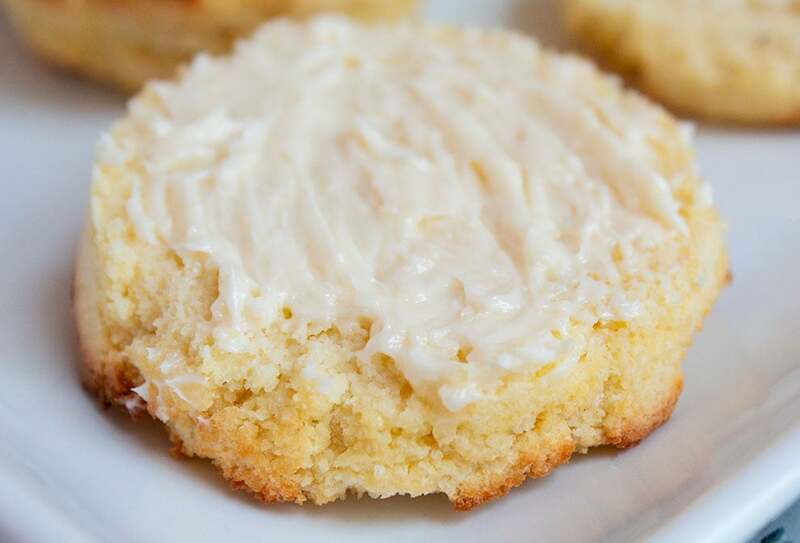 Using a hand mixer, mix everything until the cream cheese is well-incorporated. (It's okay if you have a few small flecks remaining.) Set aside. In a medium-sized bowl, combine coconut flour, almond meal, Swerve Confectioners, baking powder, and salt. Mix thoroughly. Add dry ingredients to wet and mix thoroughly using your hand mixer. Evenly distribute the batter across the holes, pressing the batter down a bit with the back of a spoon. (The batter is thick and easily forms pockets.) They will be about 80% full. Place in the oven and bake for 20-25 minutes until the edges start to brown and an inserted toothpick comes out mostly clean. Do not overbake. The center should still be slightly soft (but not uncooked) when you pull the pan out of the oven. For best results with this recipe, I recommend that you measure the dry ingredients by weight. You can use almond flour instead of almond meal, but the texture won't be the same. 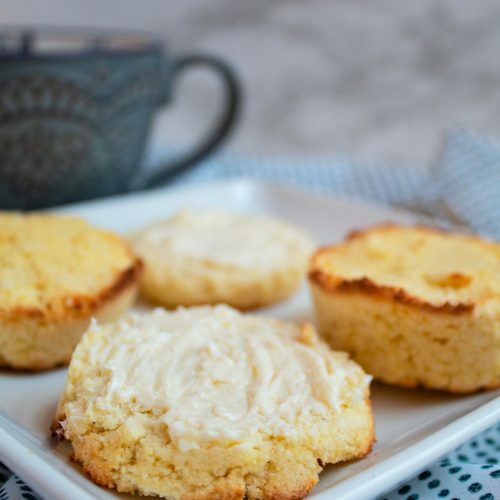 Almond meal contains the skins of almonds, which will give these cornbread muffins a chewier and softer texture that is closer to that of real cornbread. They will still taste great if you use almond flour (confession: that's what I used when I took the photos because I ran out of almond meal the day before), but almond flour gives you a more realistic texture. Adapted from this keto cornbread recipe.